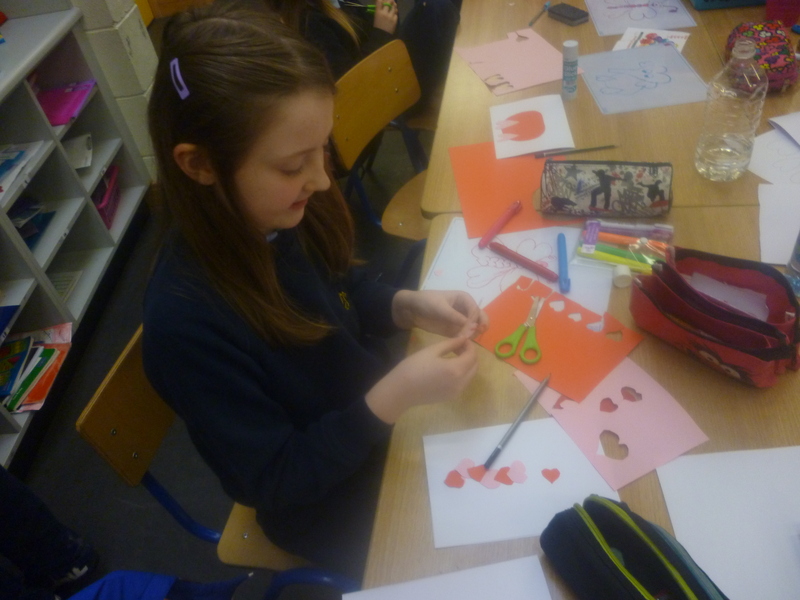 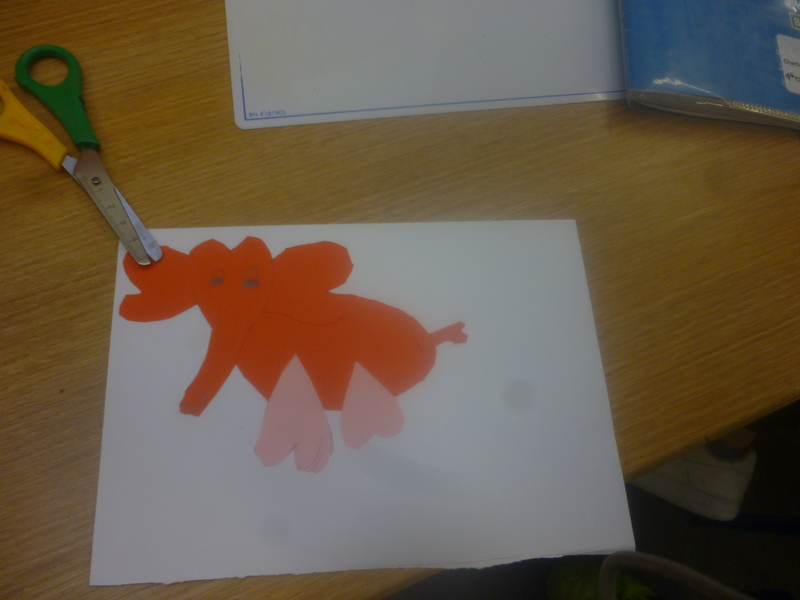 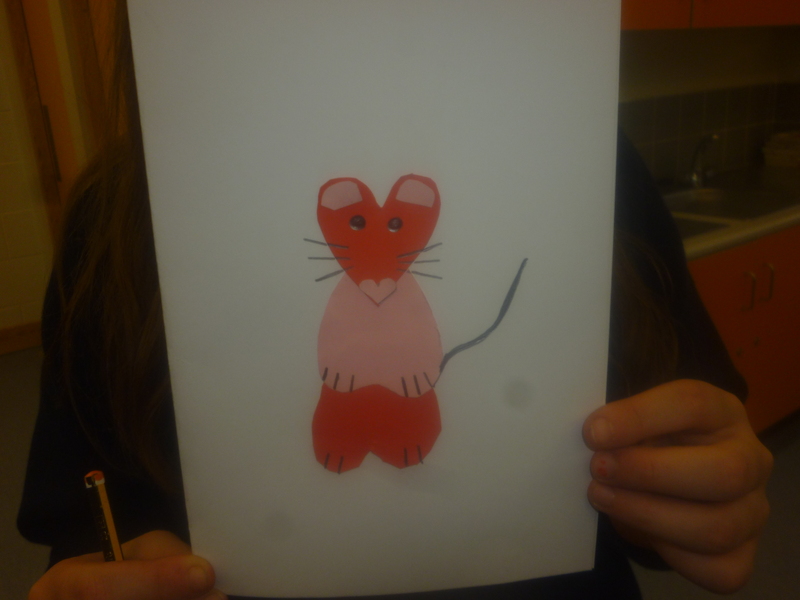 On Friday, we learnt about the history of St. Valentine and made Valentine’s cards. 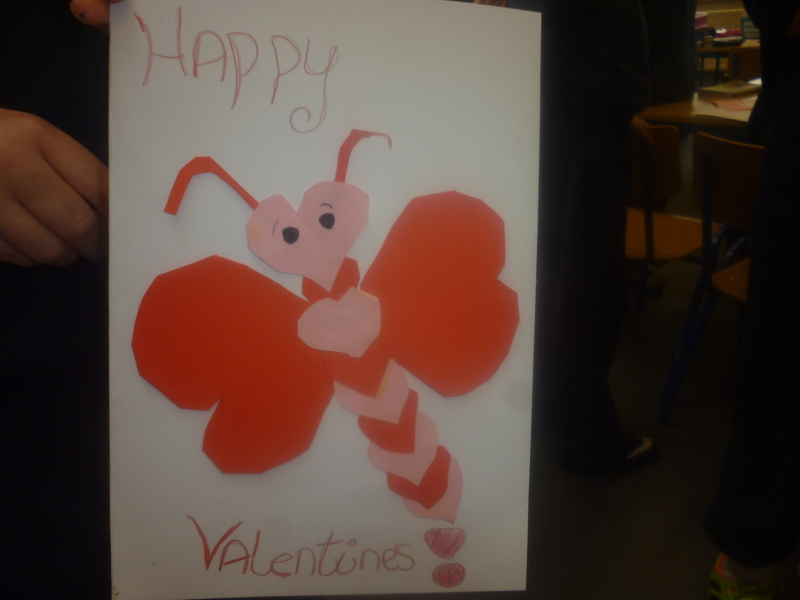 We constructed ‘love bugs’ and animals using heart shapes and we wrote simile poems based around love. 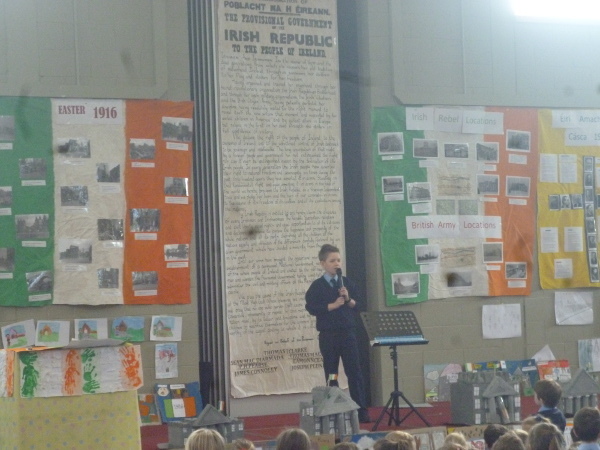 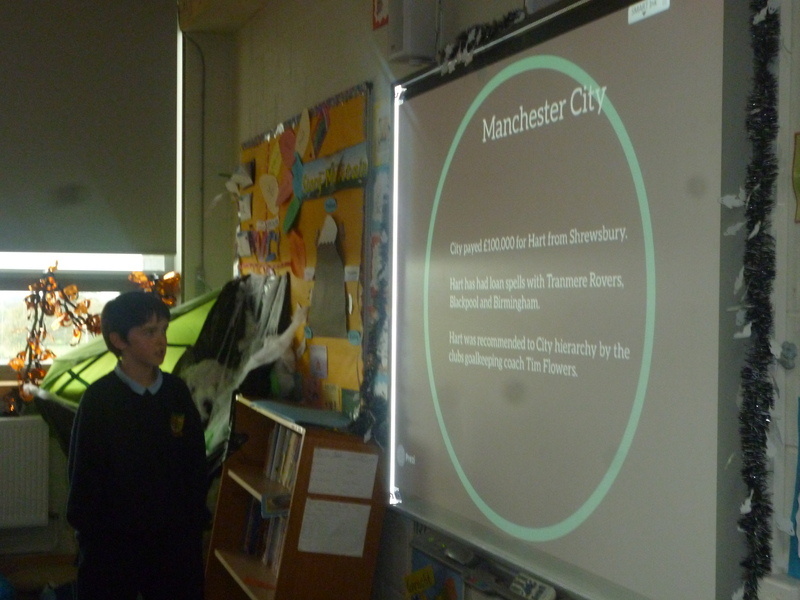 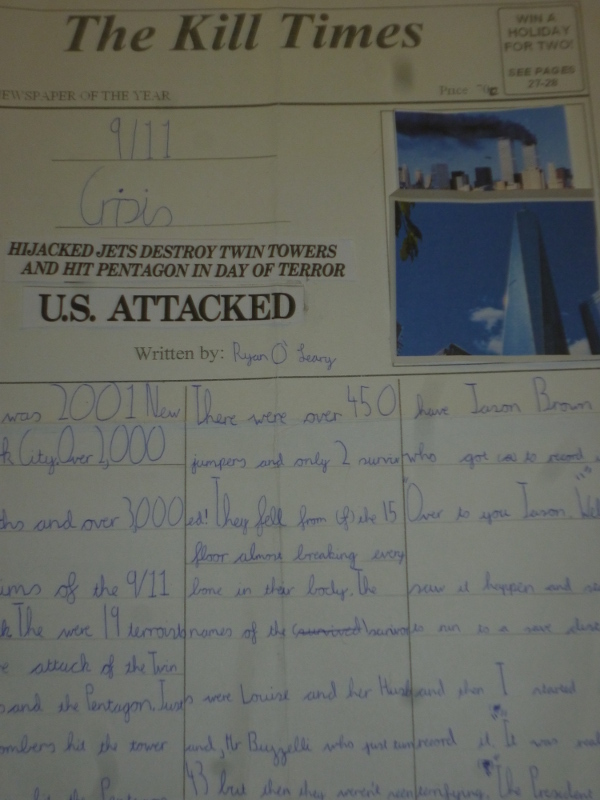 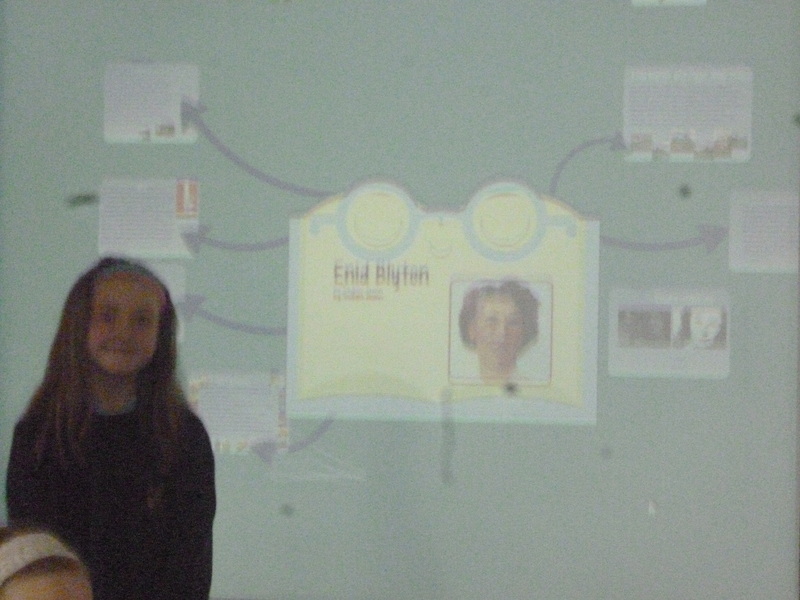 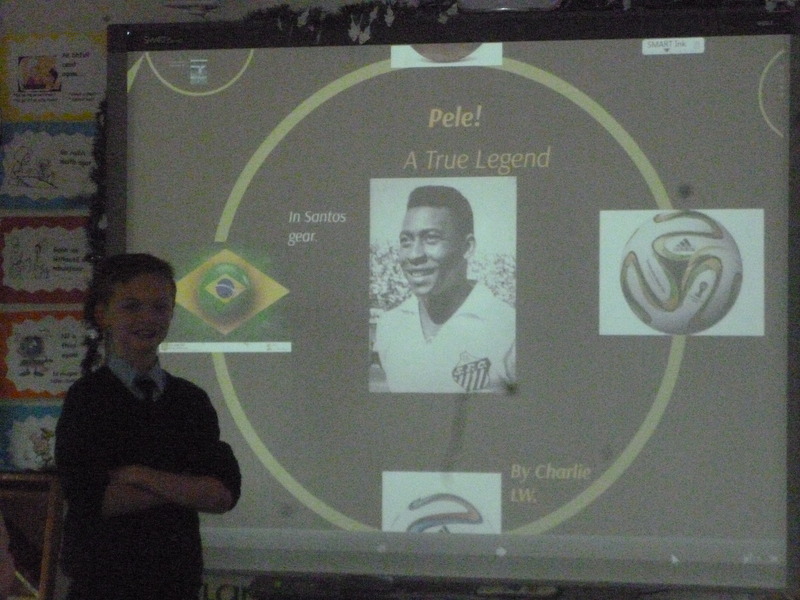 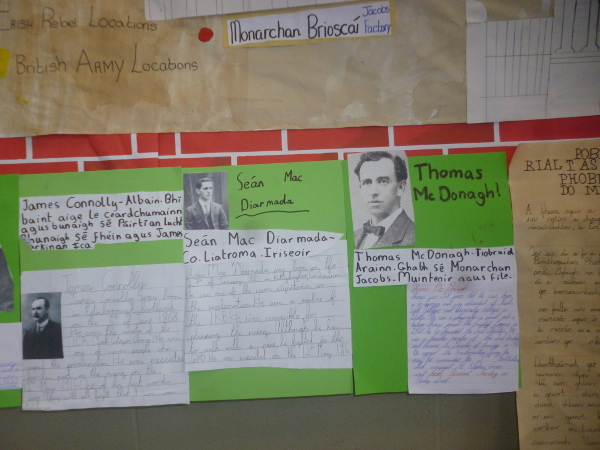 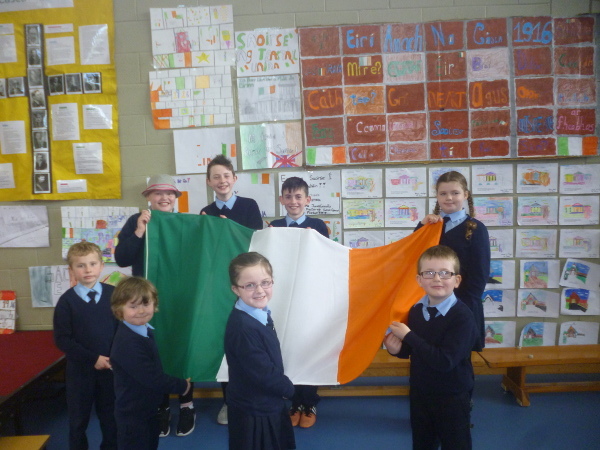 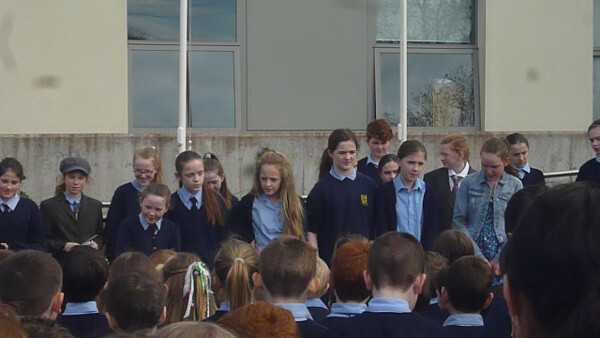 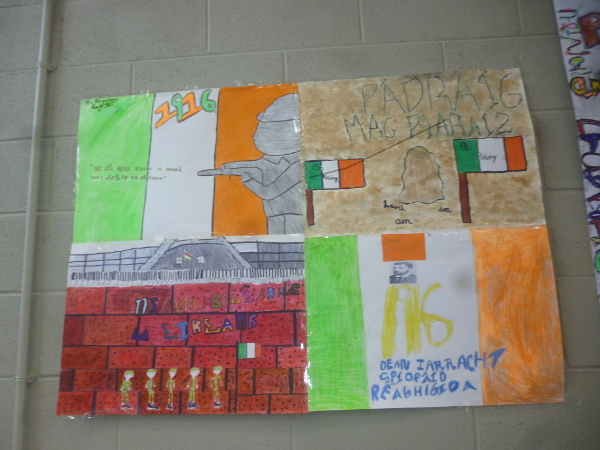 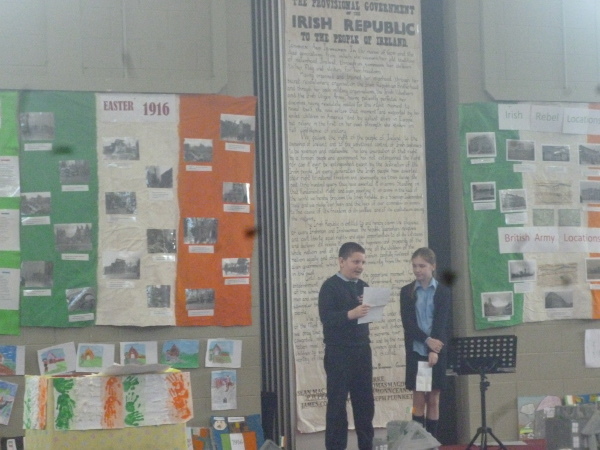 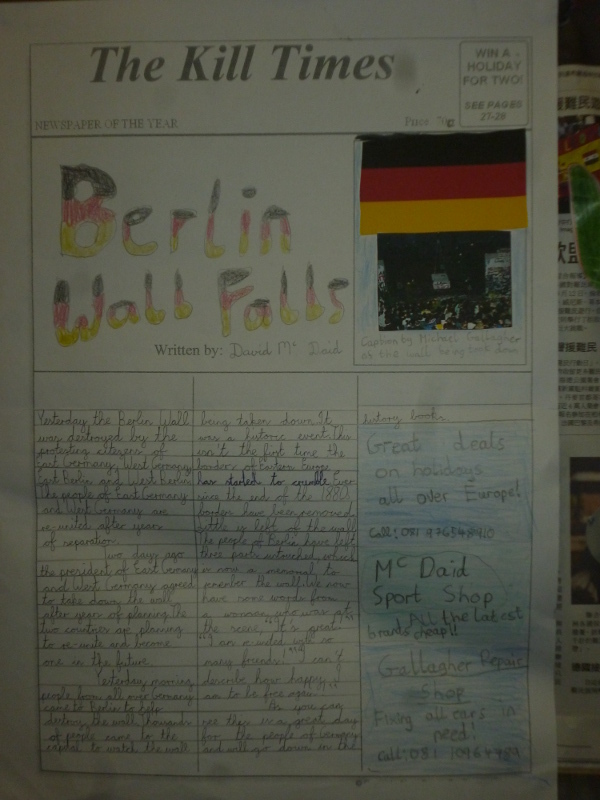 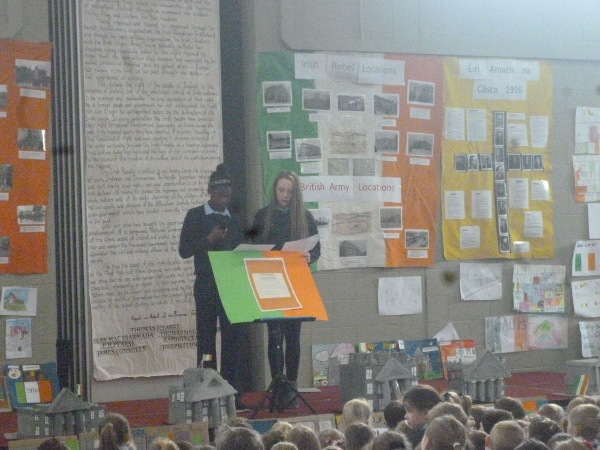 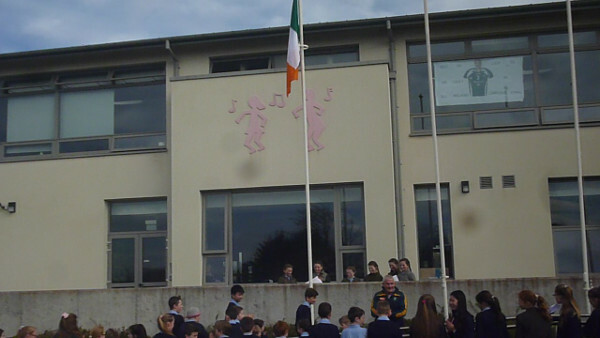 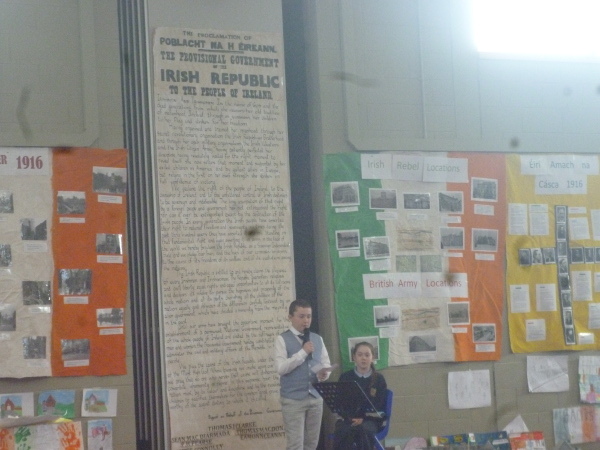 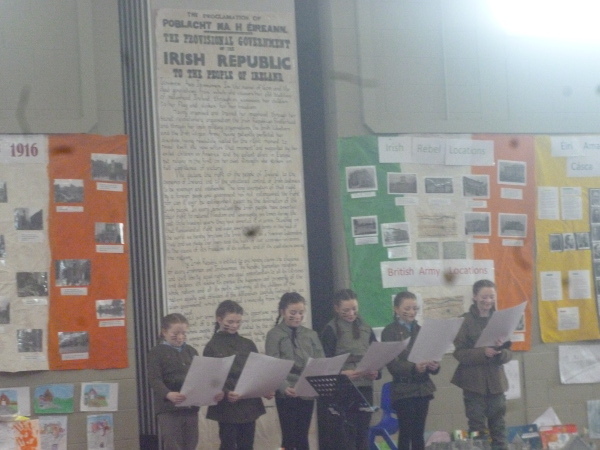 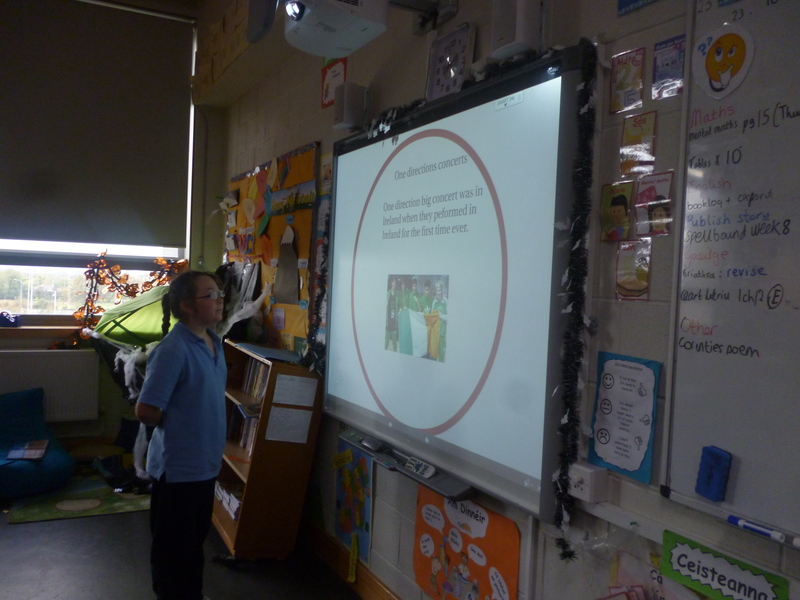 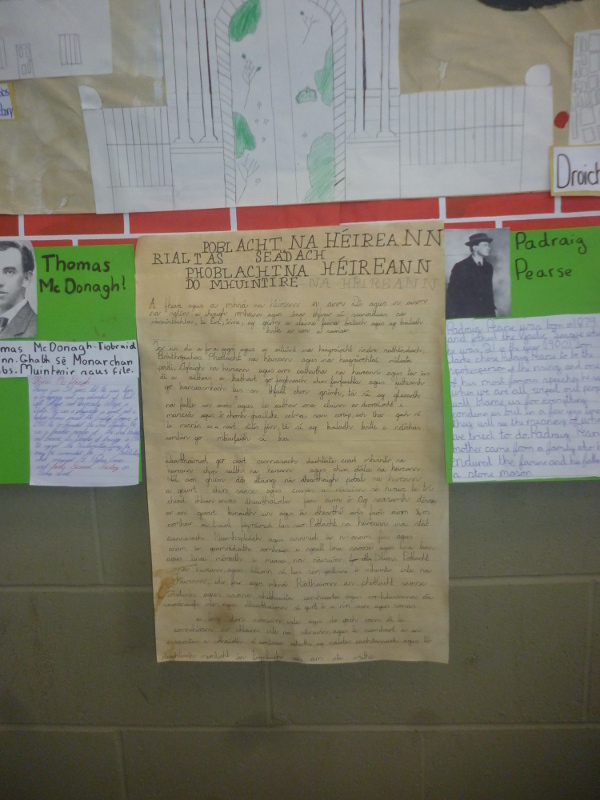 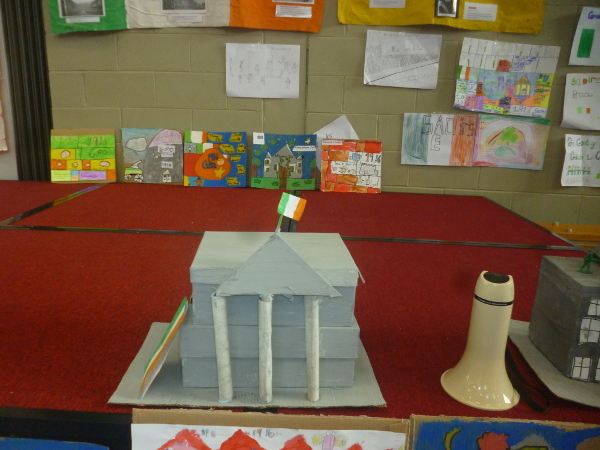 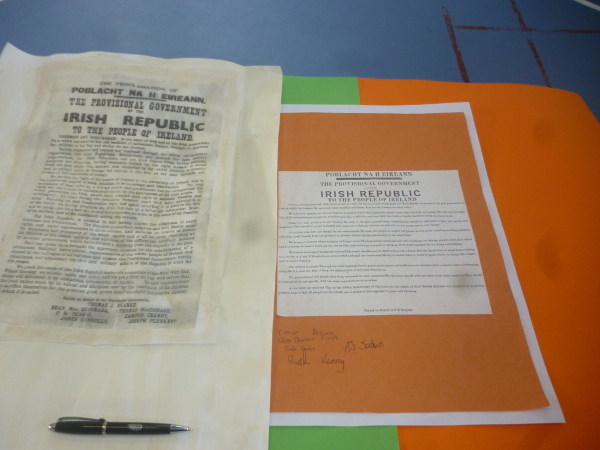 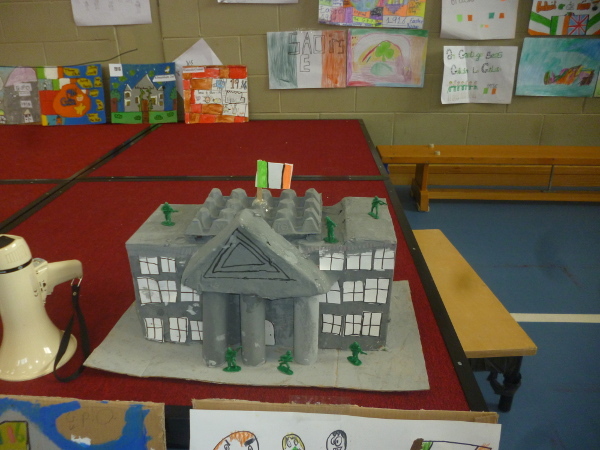 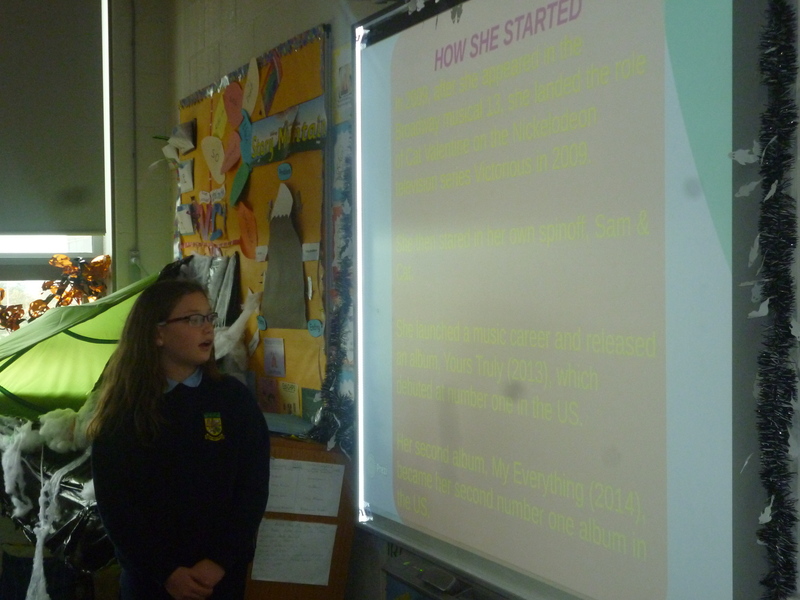 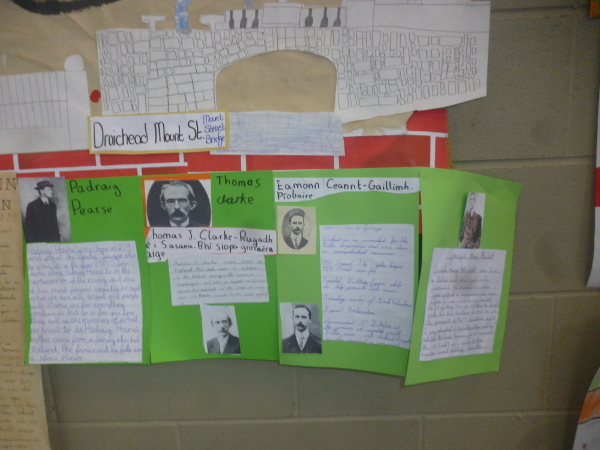 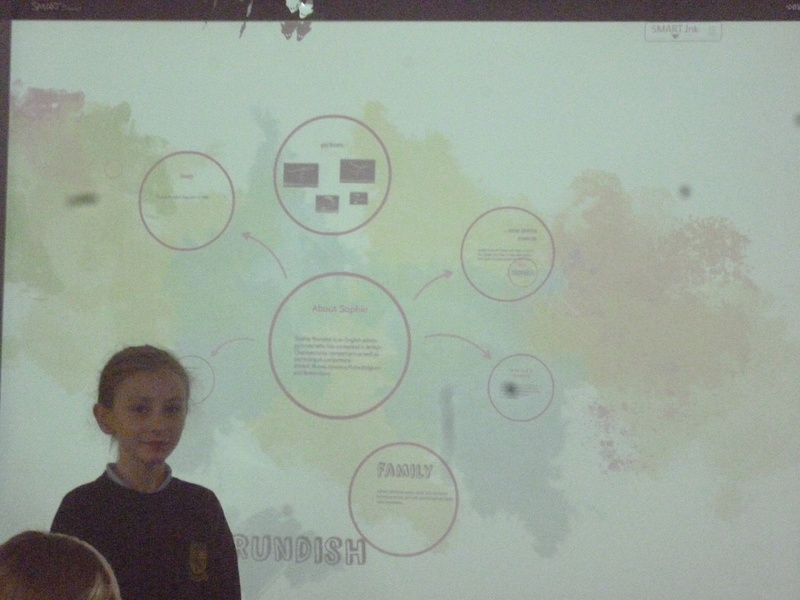 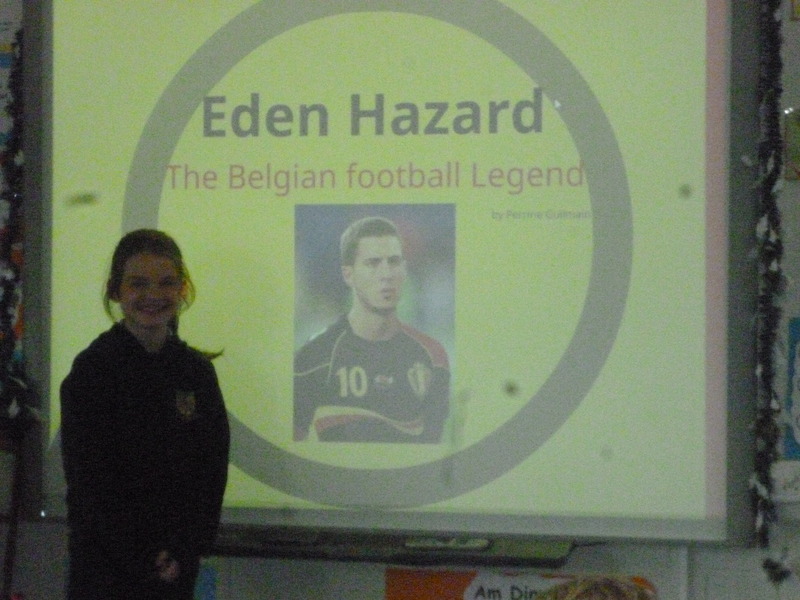 While researching our family history projects, Cian had a very interesting story to tell about his great-grandfather who was in Croke Park during Bloody Sunday. 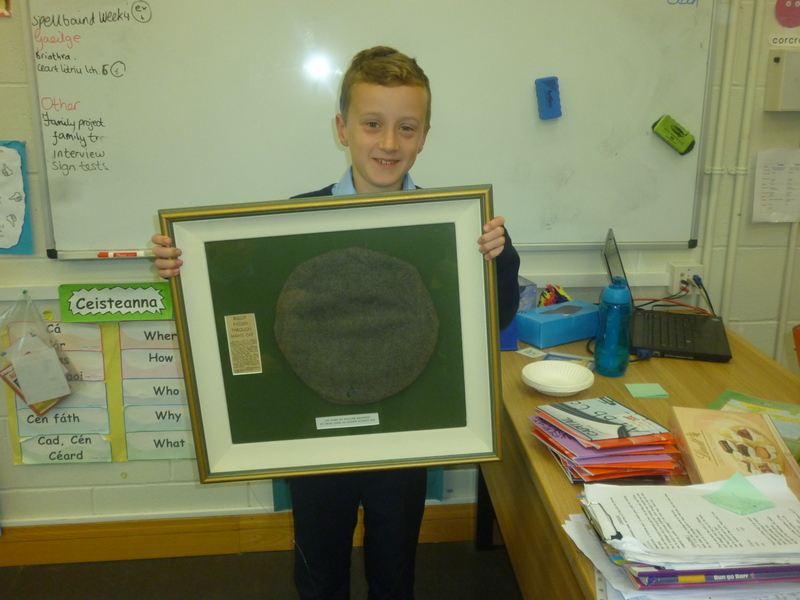 He brought in a cap worn by his great-grandfather on that day. 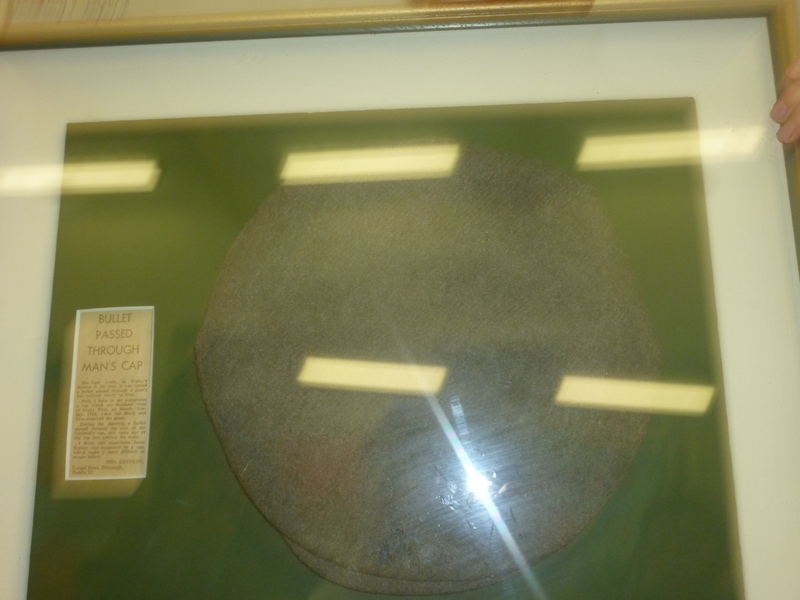 The cap had a hole in it, formed by bullet fired on Bloody Sunday. 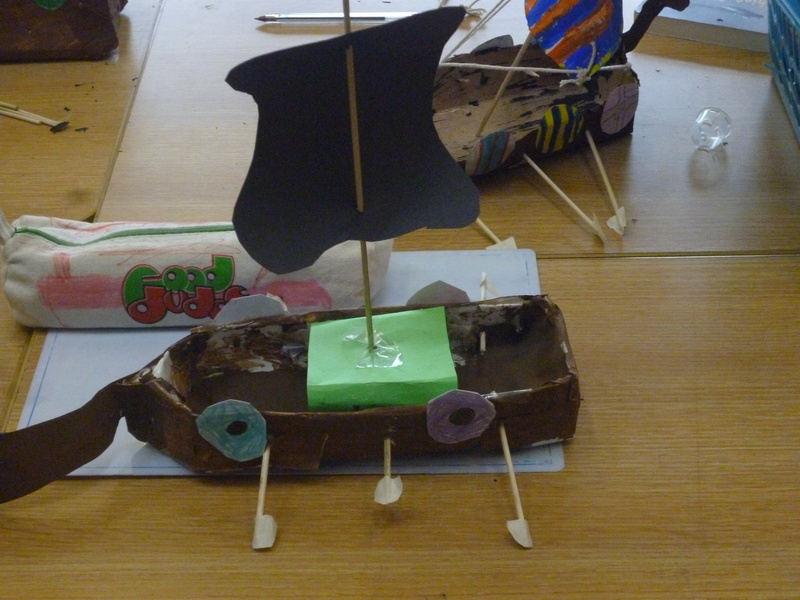 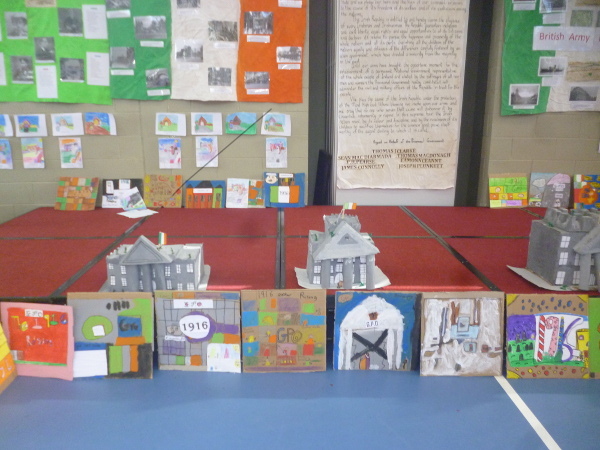 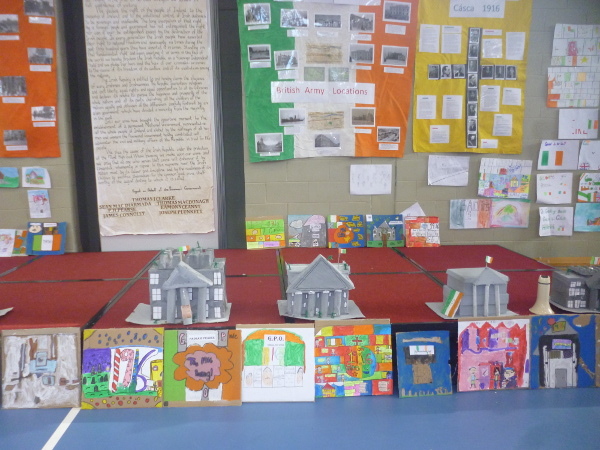 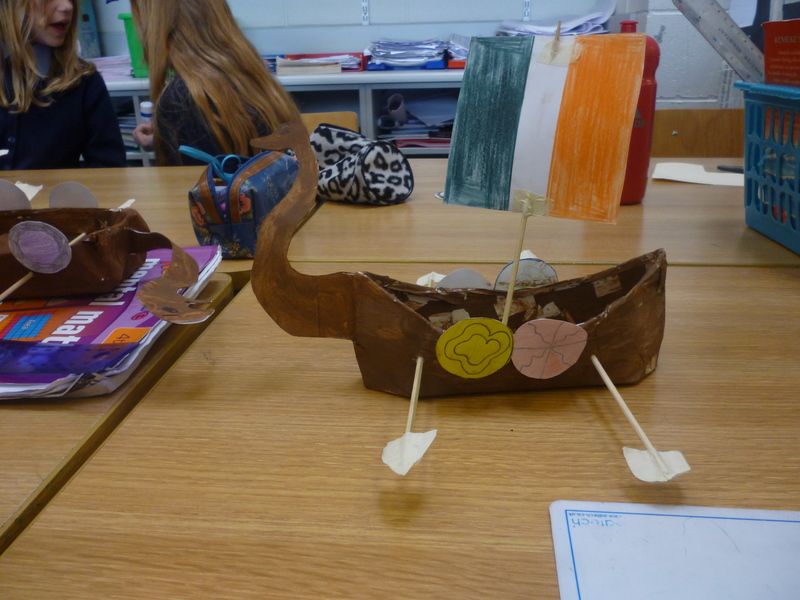 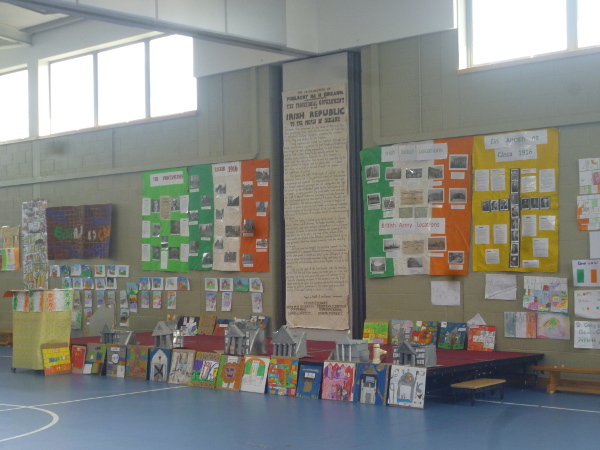 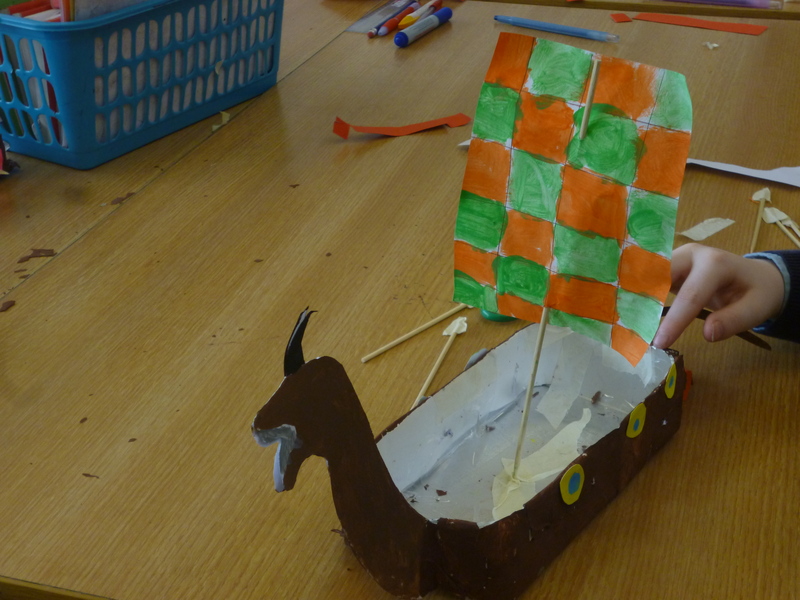 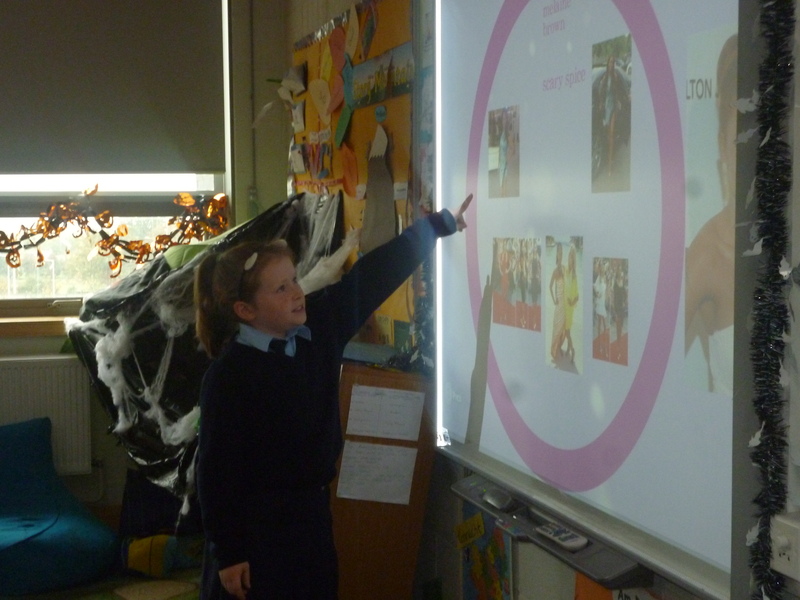 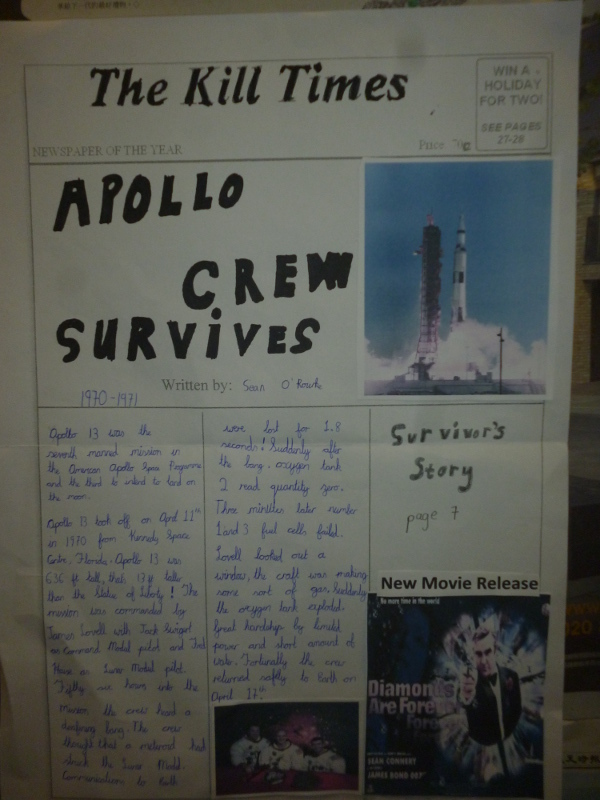 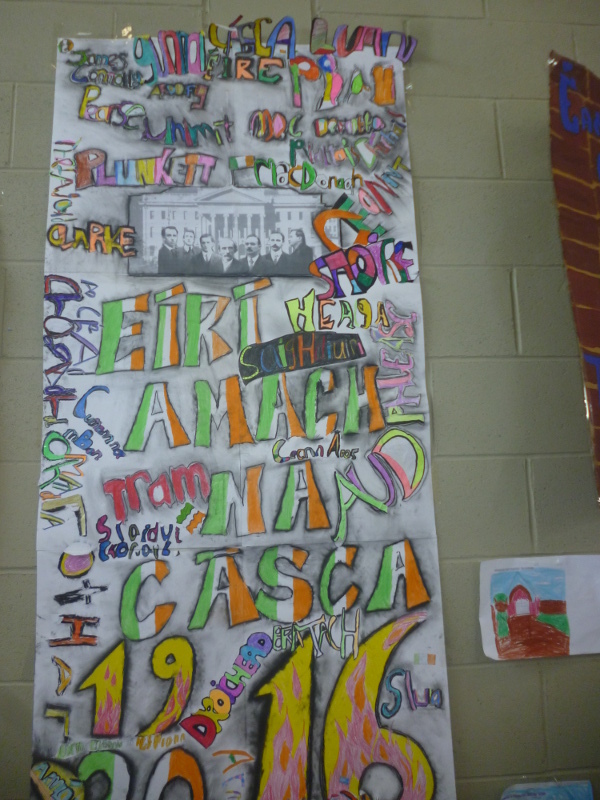 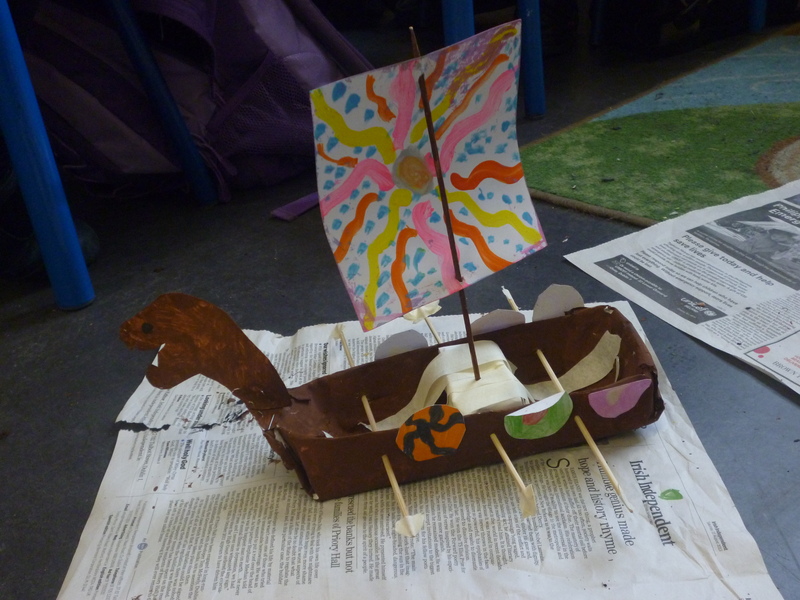 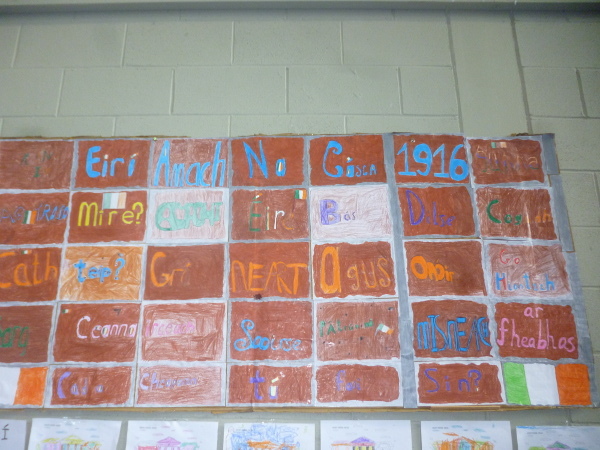 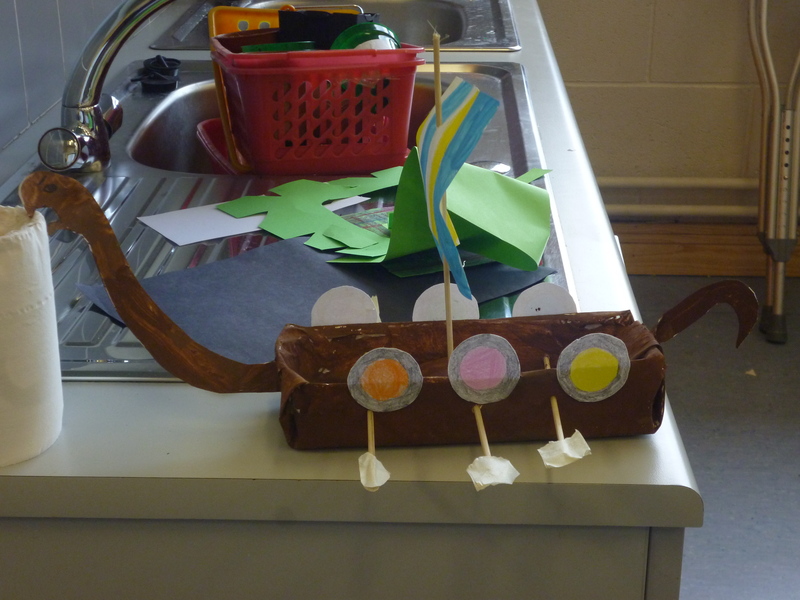 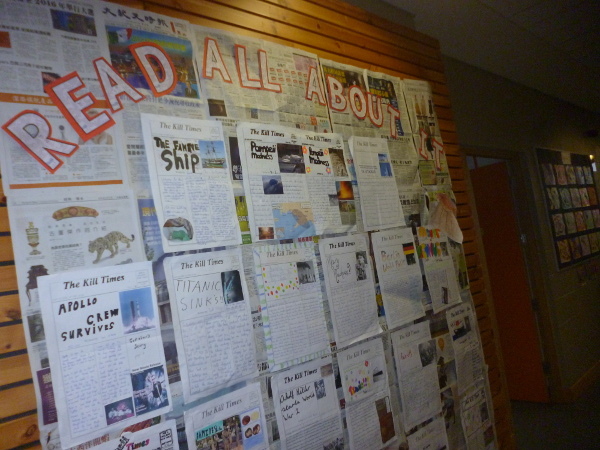 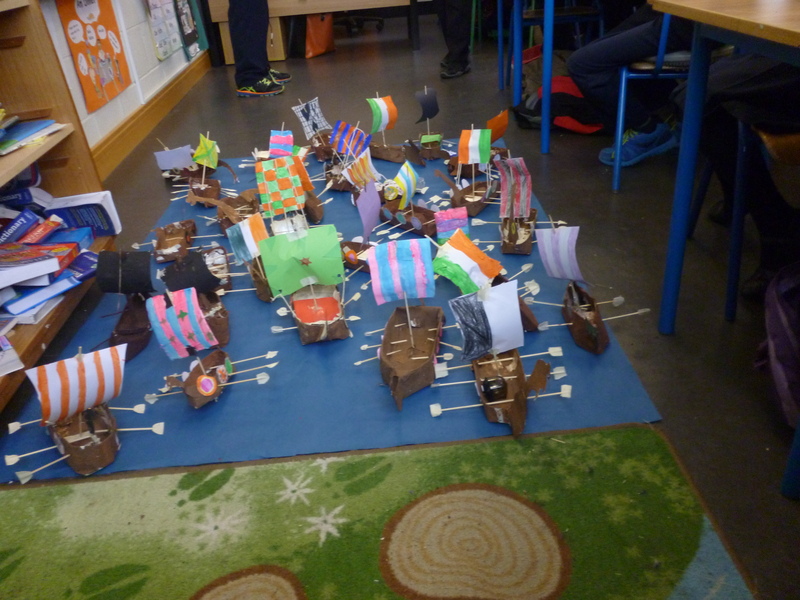 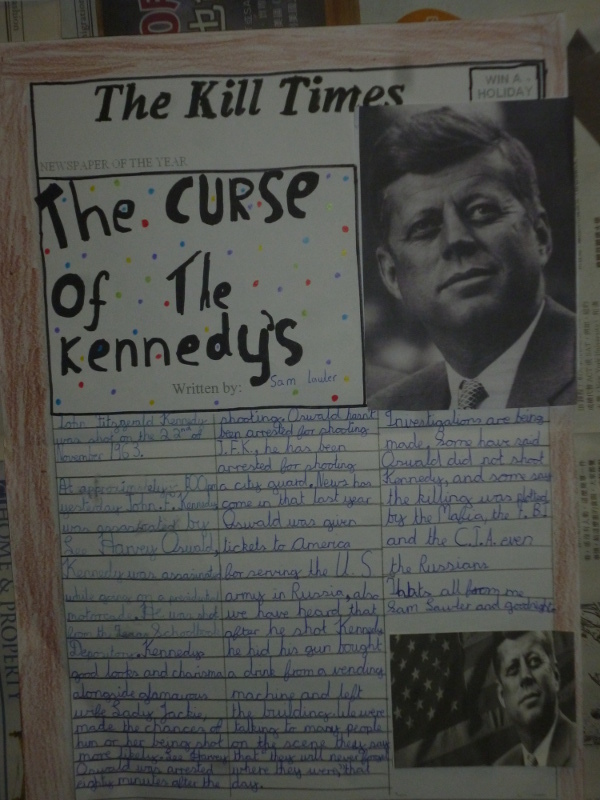 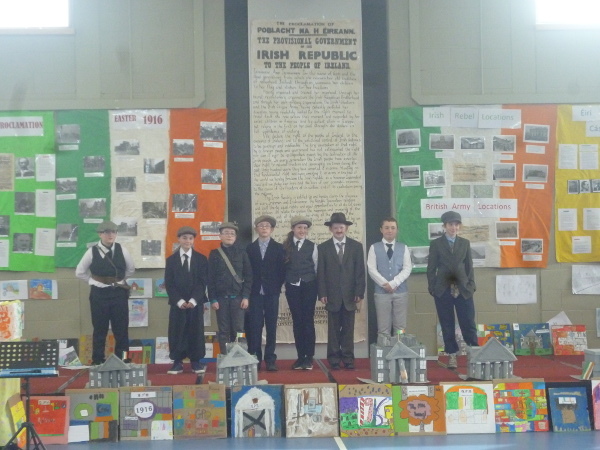 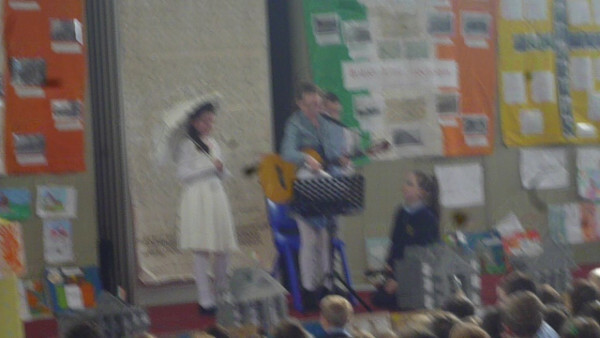 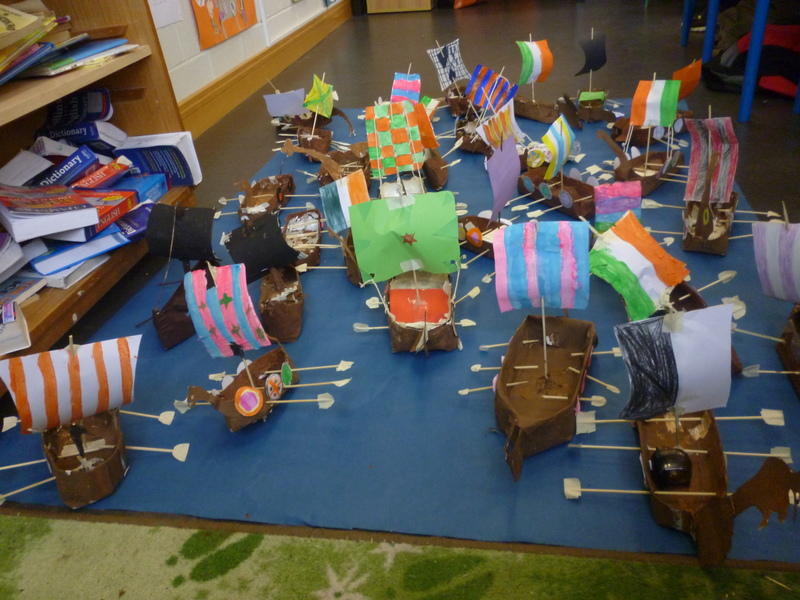 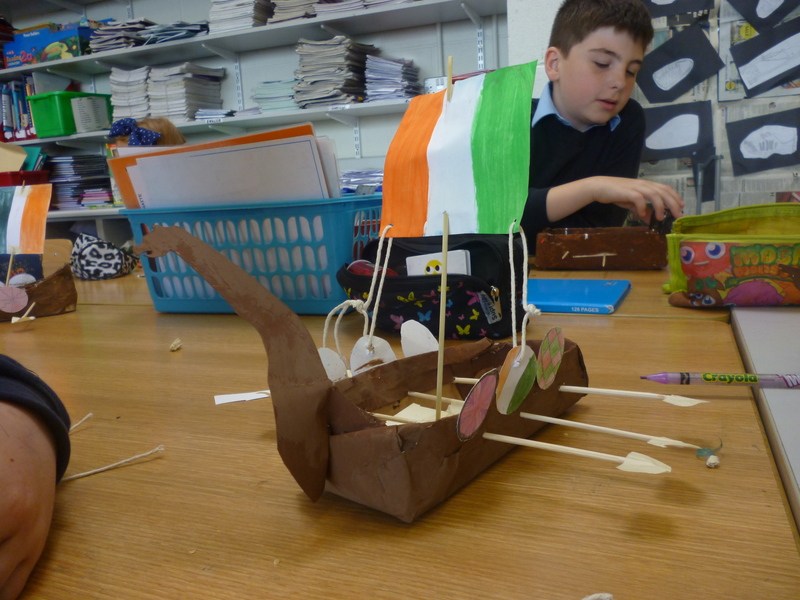 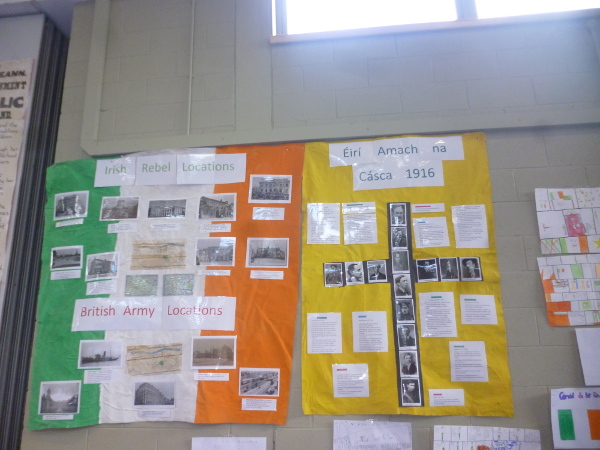 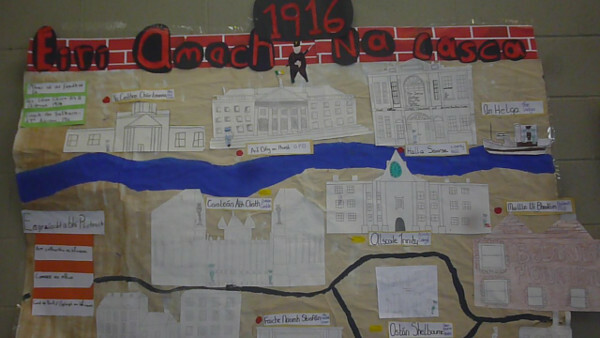 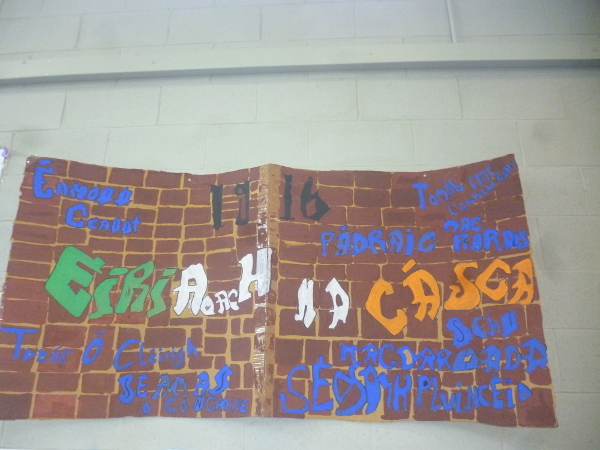 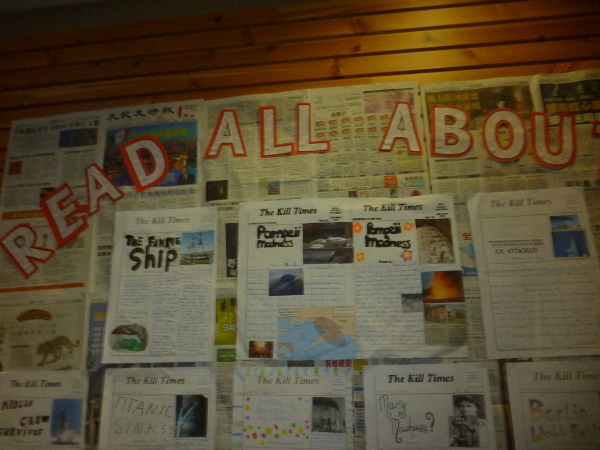 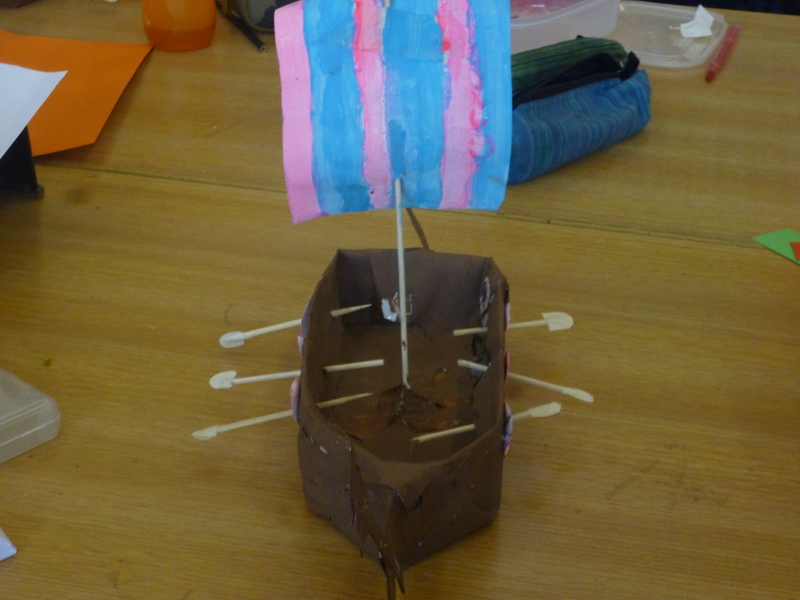 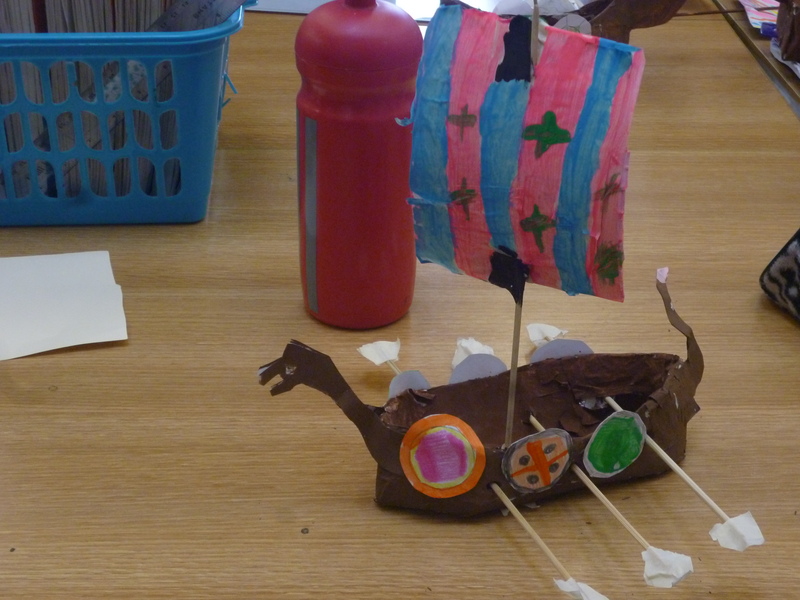 Today, fourth class took a trip to the past! 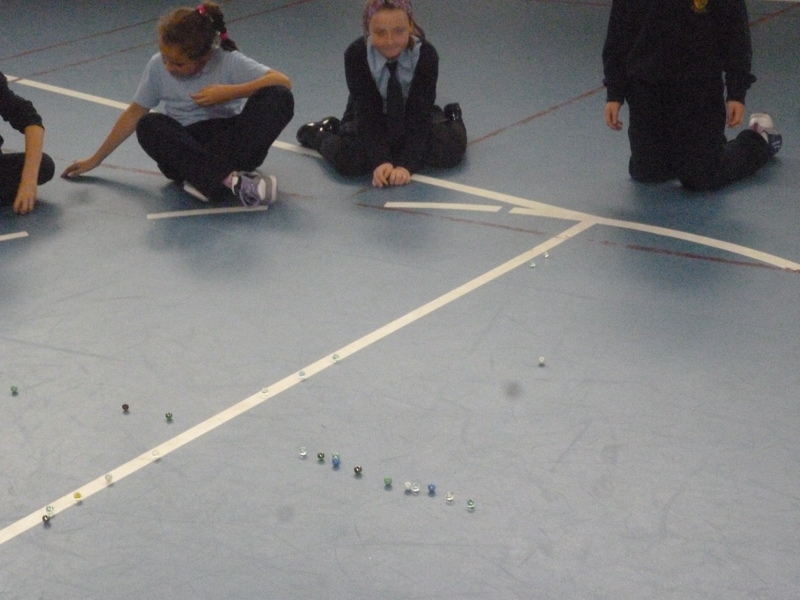 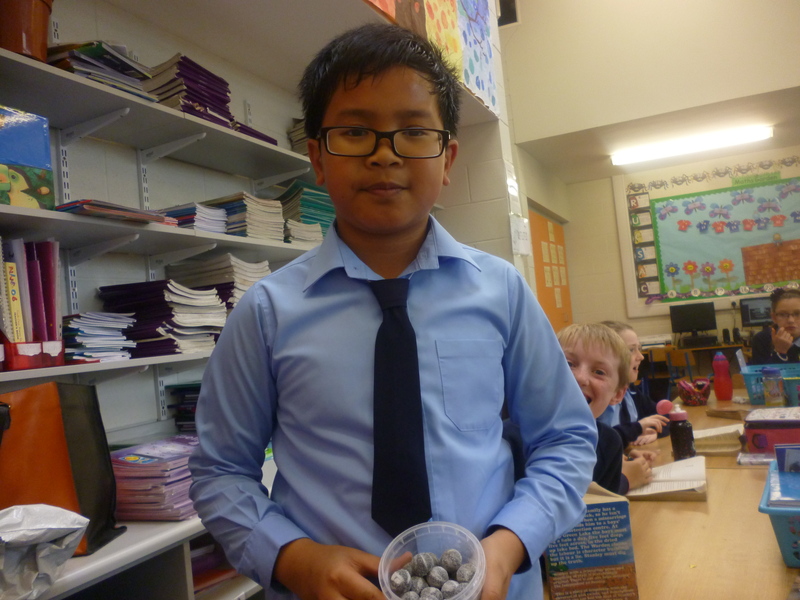 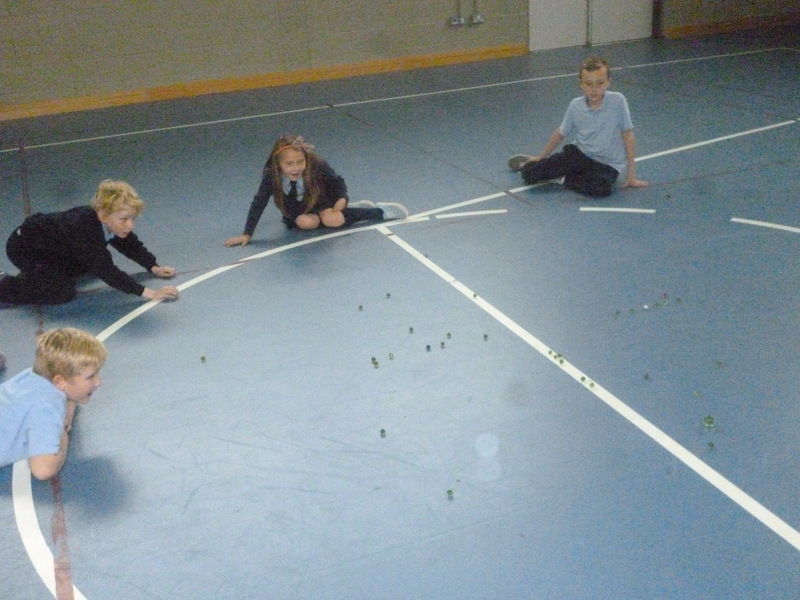 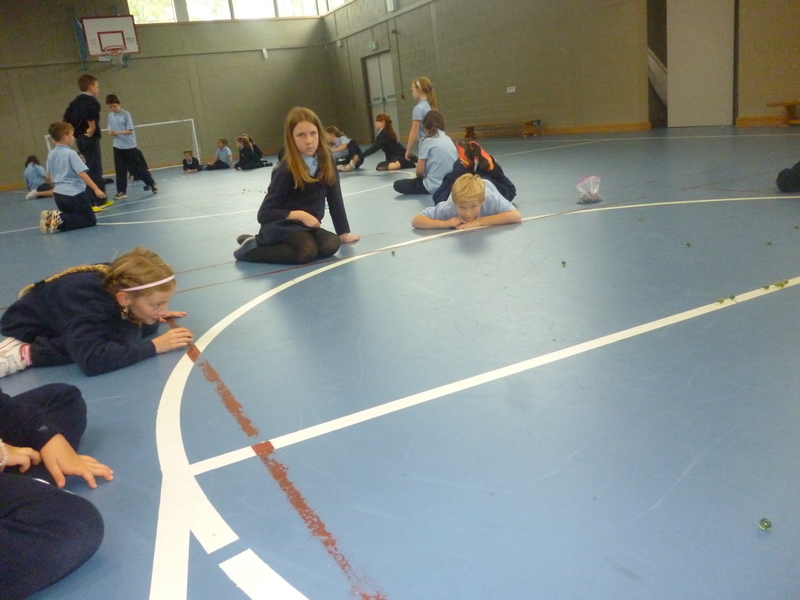 We learned to play old playground games such as marbles. 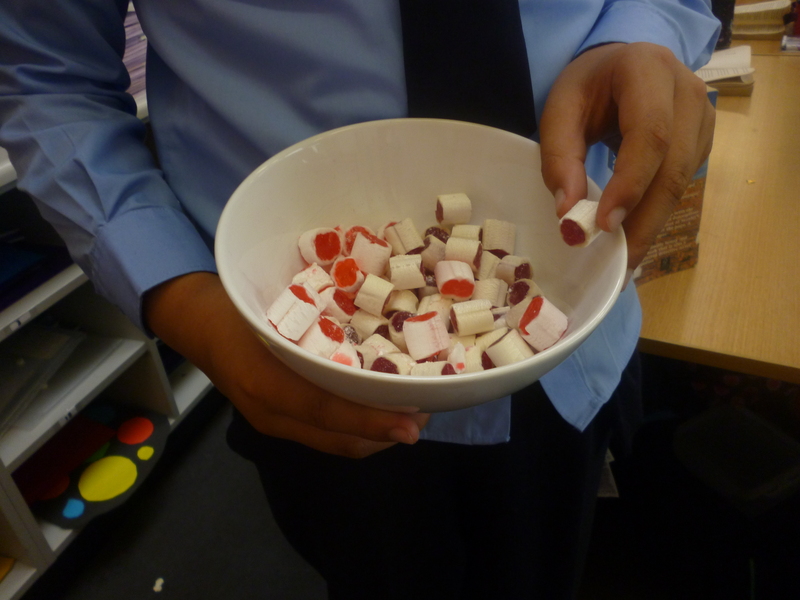 We enjoyed sampling some sweets (bulldogs and cloves) our grandparents would have eaten when they were children. 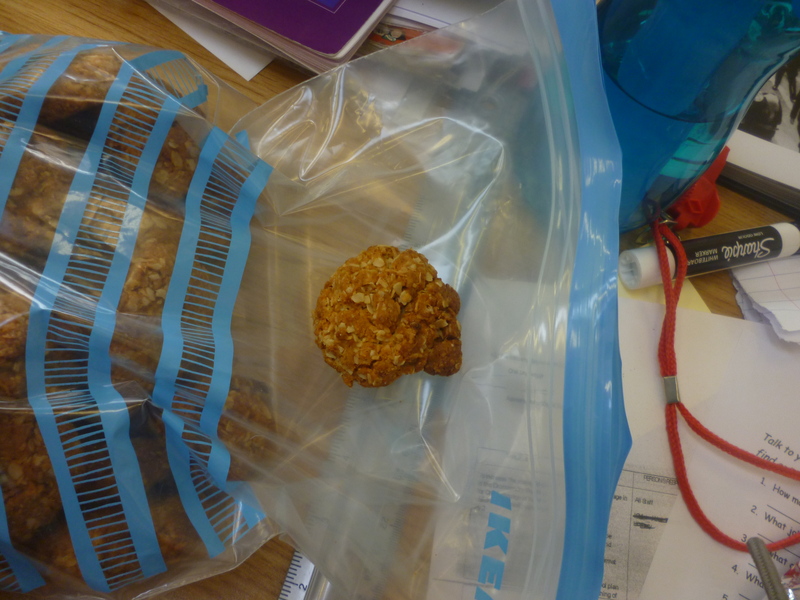 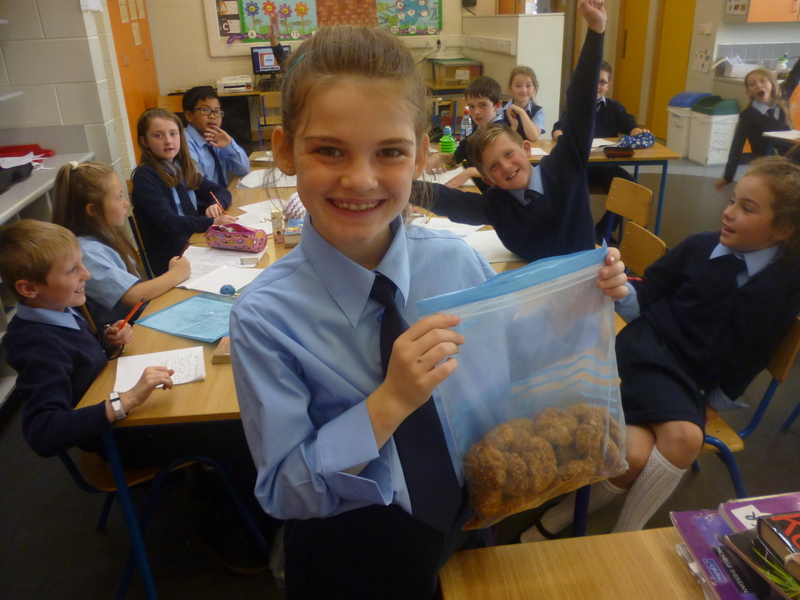 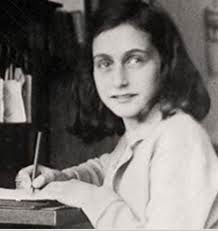 Today we enjoyed some cookies baked by Perrine where she used an old WW2 recipe!